The Q-Con XXV (26) Gaming and Anime Convention brings you the very best competitions, participation and spectator experience. Register here for ensuite Q-Con Accomodation at QUB's Elms Village here! Single rooms are £28.50 per night and each room contains a single bed, desk and ensuite bathroom and are available from Friday 30th August - Sunday 1st September 2019. Each floor contains shared cooking and living facilities. Within the Elms Vilage complex also lies the Treehouse, a social area containing 24/7 Mace, laundry facilities and an ATM for cash access. 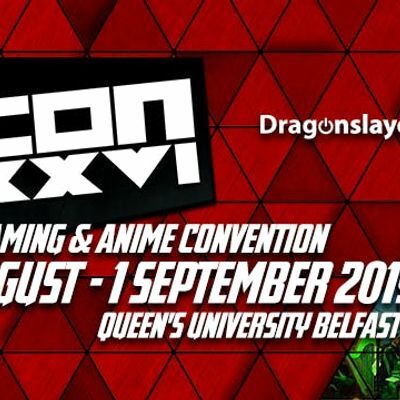 Each Accommodation Registration is only valid when purchased with a accompanying Q-Con Pre-Registration from the main event Eventbrite page. Accomodation is strictly for over 18s only, recognised valid ID must be shown on check-in. Complete a registration for each guest, and then add the nights they want to stay from the Additional Items on the following page. REGISTRATIONS WITHOUT NIGHTS ADDED WILL BE CANCELLED AND REFUNDED. NIGHTS ADDED FOR UNREGISTERED GUESTS WILL ALSO BE CANCELLED AND REFUNDED. A "virtual tour" of a standard ensuite room is available at this link. Is there internet I can use while staying at Elms Village? Complimentary Wi-Fi and Ethernet is provided by Elm's Village to attendees staying. Wi-Fi codes can be asked for from the main reception. Are there ID requirements or an age limit to stay in Queen's Accomodation? As Elms Village is university accommodation, attendees staying in the complex must be 18 or over. People checking in at reception must have a valid form of ID or a valid Queen's University student card. What are my transport/parking options getting to and from Elms Village? Car parking is available at Elms Village for guests staying in the complex. Should you need transport to your accommodation or to the event, the Metro 8 service runs along the Malone Road past Elms Village and stops oustide Queen's University. Can I bring other people to stay in my room? No - all rooms offered by Q-Con within Elms Village are single rooms only. It is QUB policy that only one person per room can stay during the event. Should you wish to have multiple people stay within the accommodation during the event, you must book the same amount of rooms. Check-in for Elms Village is any time after 14:00 on the day of arrival and checkout is by 10:30AM on the day of departure. Accommodation guests can check-in at the reception building located at the entrance to the complex 24/7 after 14:00 on Friday. If I book multiple people will we all be grouped together? Although no guarantees can be made, groups booked together will be placed on the same floor wherever possible. Please note that for large groups where it may not be possible to book everyone onto the same floor, groups may be split over multiple floors within the same building. Please contact Q-Con should you wish to be grouped together with other guests that you know are staying at Elms. For more information, please see our website and the Elm's Village handbook.